Marvel's resident force of nature spent nearly 40 years rampaging his way through his very first ongoing series-and he hasn't slowed down since! This initial series, though, follows the evolution of the jade giant, from his macabre early days to his time spent as a fugitive, all the way through stints as a Las Vegas bouncer and super hero! 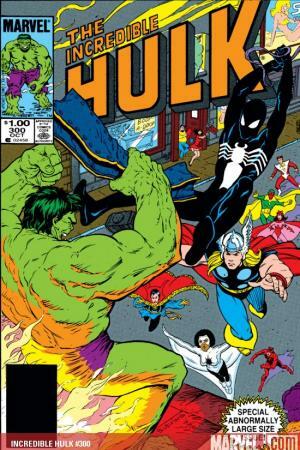 The Hulk first comes out to play following Bruce Banner's exposure to a powerful gamma bomb. This version of the super strong anti-hero, however, has gray skin and only transforms at nightfall, leaving Banner a confused wreck with ripped up clothes by morning! THIS WORLD NOT HIS OWN! 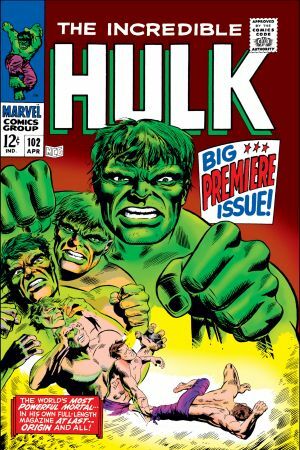 The Hulk's solo adventures kick off anew in this issue from 1968, which transforms the TALES TO ASTONISH title into an all-new INCREDIBLE HULK series. Asgardian villains Enchantress and Executioner arrive on the scene to make sure that the Hulk's big return isn't a peaceful one! 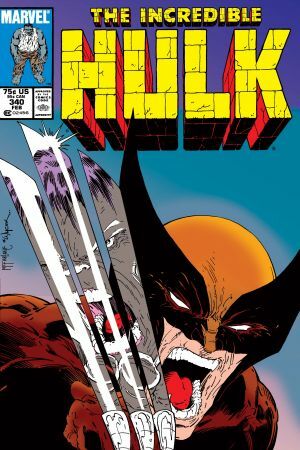 A clawed character called Wolverine debuts in this issue, which pits the scrappy mutant up against the Hulk for the very first time, while the wild, bloodthirsty beast known as Wendigo waits for a chance to strike! THE CURING OF DR. BANNER! The Hulk's archrival, the super smart and super manipulative Leader, makes his biggest move yet against Dr. Banner and his allies in this issue. With Banner seemingly cured of his Hulk persona, he'll have to come up with another way to save the lives of Doc Samson and General Ross! The Hulk clashes with nearly every hero in Marvel's Manhattan when he throws a temper tantrum right in the heart of New York City. Not even the combined might of the Avengers, Spider-Man, and S.H.I.E.L.D. 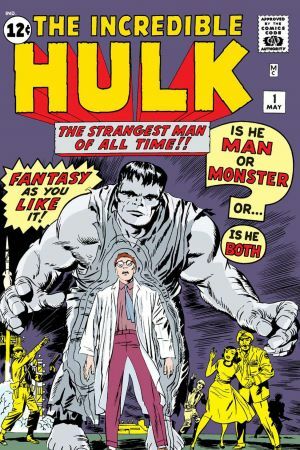 can halt the Hulk's frenzy, leaving Doctor Strange with no choice but to trap the Hulk in another dimension! 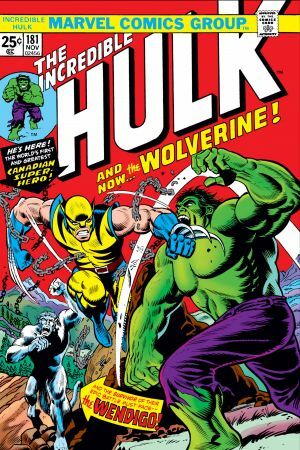 Seminal INCREDIBLE HULK scribe Peter David and artist Todd McFarlane pull no punches in this knockdown drag out rematch between the even-more-powerful gray Hulk and the even-more-experienced Wolverine. Old grudges die hard, especially when they have an adamantium skeleton and a healing factor! 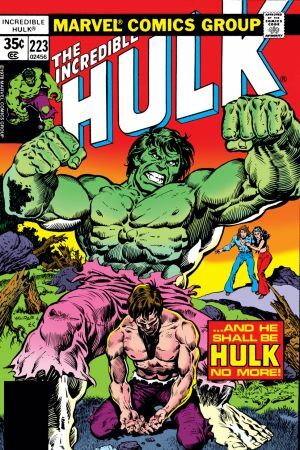 The Hulk's tender and tragic side surface in this patient issue focusing on the increasingly complicated relationship between Bruce Banner and his longtime lover, Betty Ross. The two of them communicate with each other as much as they can until Betty drops a bombshell-she wants to have a word with the Hulk himself! 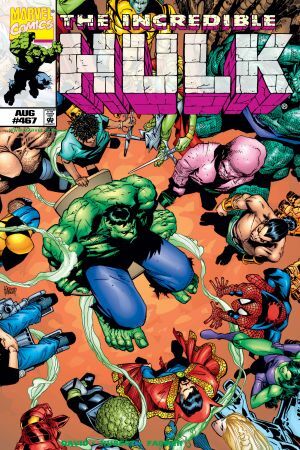 After a lengthy stretch of time spent with different versions of the Hulk all vying control for the same body, Bruce Banner finally pulls together his fractured psyche with the help of Doc Samson and the Ringmaster. But will this new Hulk be any easier to control than the previous ones? 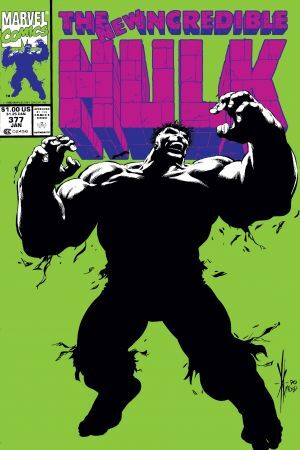 The Hulk grapples with the horrors of the real world when his former sidekick, Jim Wilson, passes away from complications caused by AIDS. 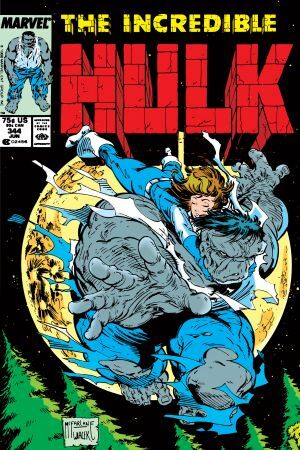 In this issue, the newly unified Hulk struggles against something that he can't punch or outwit as he says farewell to an old friend.